Today my friends, we have some very serious business to discuss. It’s a centuries-old topic that’s both polarizing and uncomfortable, contentious and cumbersome. A topic that’s destroyed friendships…and broken family bonds. A topic that causes even the great philosophers of our time to scratch their profound heads in perplexity. It’s a topic that’s downright controversial, so brace yourselves. Today, we’re talking about milkshakes. 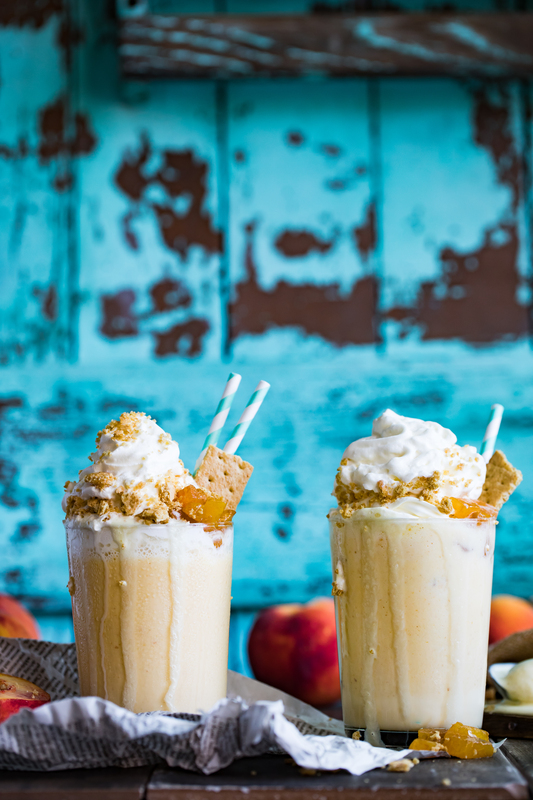 Are Pie Milkshakes actually a hotly debated topic within the ice cream community, you ask? To be honest, I really have no idea. But you know what? They most certainly are, at least within my close-knit ice cream social circle (and by “ice cream social circle,” I mean the ice cream social circle that includes me, myself, and I). And when you’re a bit of an ice cream sociopath like yours truly, you don’t need logic, opposing arguments, or even other people, for that matter. You can create your own drama, right in the comfort of your own home. (And I do, every night. From approximately 2am to 3am, when I lay awake pondering those timeless hard-hitting questions like “but what does the world THINK about pie milkshakes!??). Simply take a piece of leftover pie, add to a blender with milk and ice cream, and voila! Pie flavored milkshake goodness. 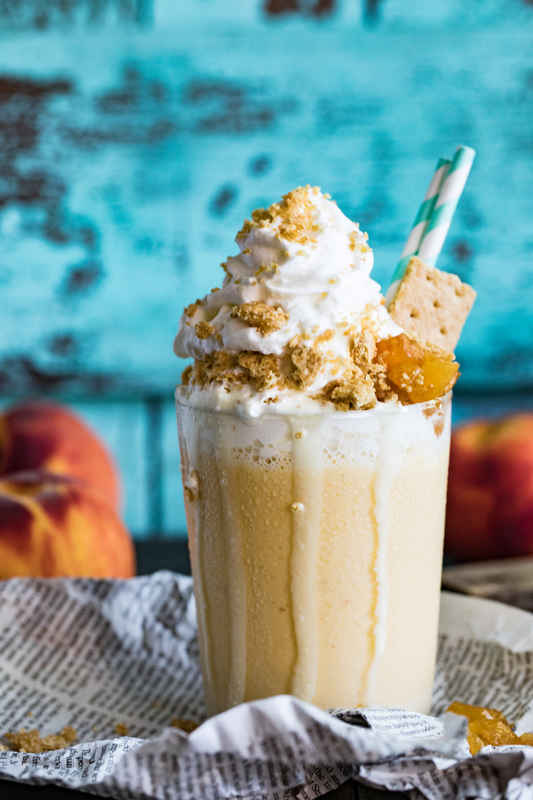 Use fresh ingredients – such as fruit, pastry, cookies – to mimic the pie flavor in your milkshake without actually blending a piece of precious pie into oblivion. 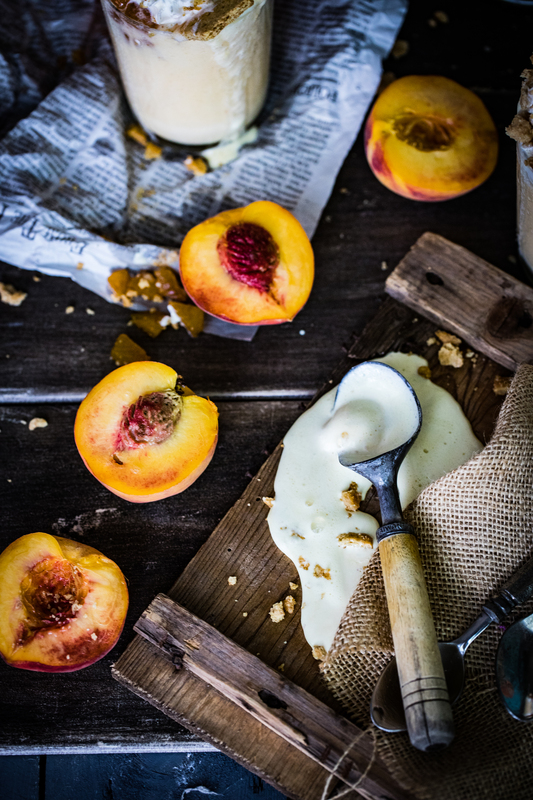 Although both methods result in a downright delicious treat, I am quite staunchly in the second camp of using fresh ingredients to re-create that pie flavor. The first option (let’s call it the “Pie Option”) irritates me for a multitude of reasons, but we’re going to focus on the most obvious (at least according to me): it just doesn’t feel realistic. Sure, it’s the “easier” option – and certainly I’m all about lazy girl hacks that will help me get pie into my system as quick and painlessly as possible. But what bothers me about the Pie Option is this inherent assumption that people just have access to random pieces of leftover pie. Maybe it’s just me, but I almost never have leftover pie just “laying” around. If i have pie around the house, I’m going to eat ALL that beautiful pie, knowwhatimsaying? I find the very concept offensive and it rattles me to my core. When there’s a pie within ear-shot (or really, stomach-shot), I’m not going to leave a single piece behind, even if my stomach is cramping and I have tiny beads of sweat glittering on my forehead. No, dear readers – I am going to POWER THROUGH that last piece of pie in hopes that my demonstrated dedication will impress the almighty pie gods, who in turn will continue blessing me with delicious pie for the rest of my life. The thought of abandoning any pie – even mediocre pie- in the never-ending vortex of my Vitamix hurts my soul deeply, and I refuse to engage in such pie-abusive tactics when a perfectly delicious (perhaps even MORE delicious) path to pie milkshakes is a few simple ingredients away. 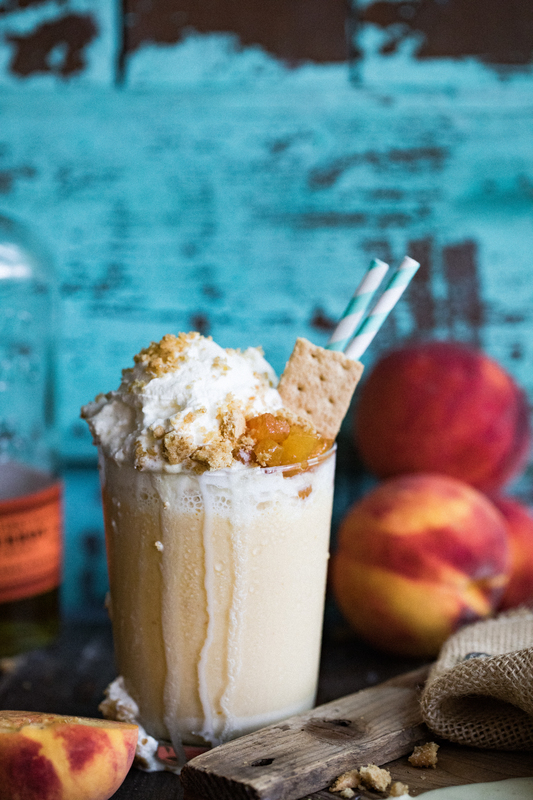 This milkshake utilizes the second option above, using beautiful fresh Georgia peaches courtesy The Peach Truck and the ultimate milkshake secret ingredient, bourbon (duh). I fought the urge to make this recipe overly complicated by using graham crackers to impart buttery flavor rather than making an entire pie crust from scratch. There’s a time and a place for homemade pie crust, and if I’m going to go through the headache of cutting in butter (three little words that leave me quivering with fear), I don’t want my efforts to be blended into oblivion. This milk to ice cream ratio that i have laid out in this recipe produces an extremely thick shake, which I personally love, but if you prefer a shake that is more liquid in consistency, add a little more milk. If you don’t have graham crackers, soft sugar or shortbread cookies are a fantastic substitute that also impart a pie-like flavor. 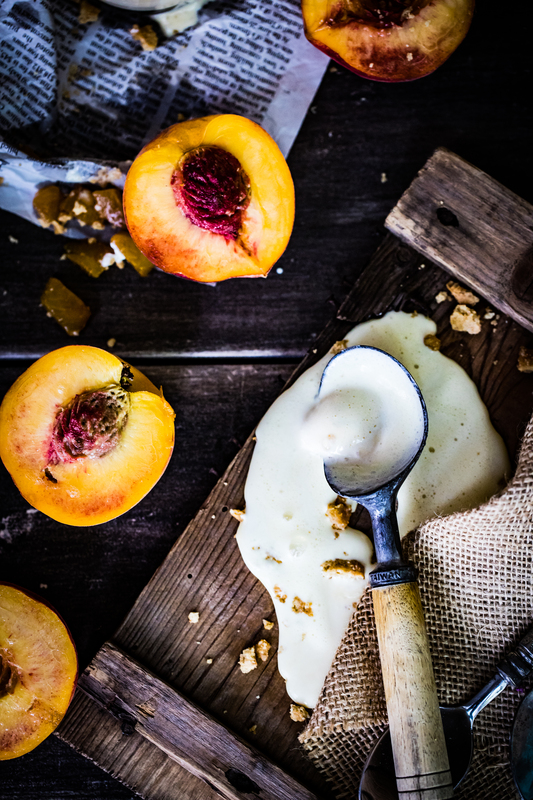 Play the bourbon by ear – one tablespoon was perfect for me, but if you’re a true boozer and need a more prevalent bourbon flavor, by all means – you do you, you big alchy. 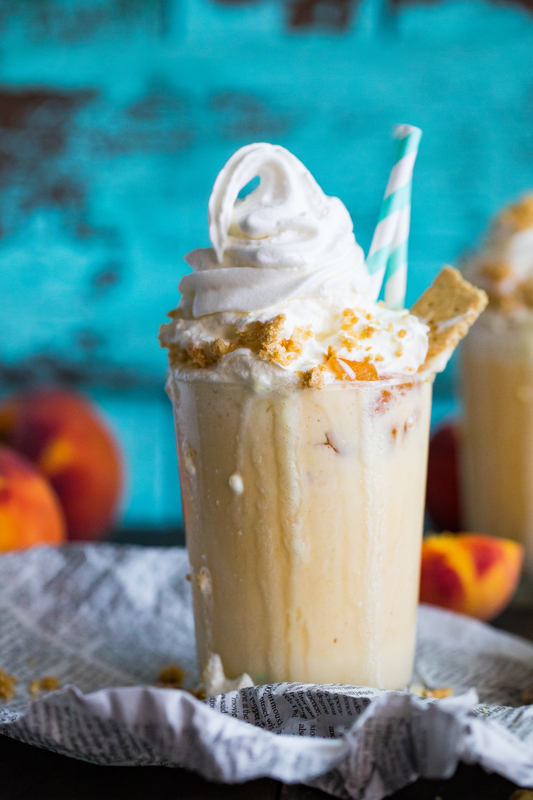 Easy, peachy, boozy and delicious, this milkshake is the perfect way to celebrate summer’s greatest gift to the food world. And the best part? 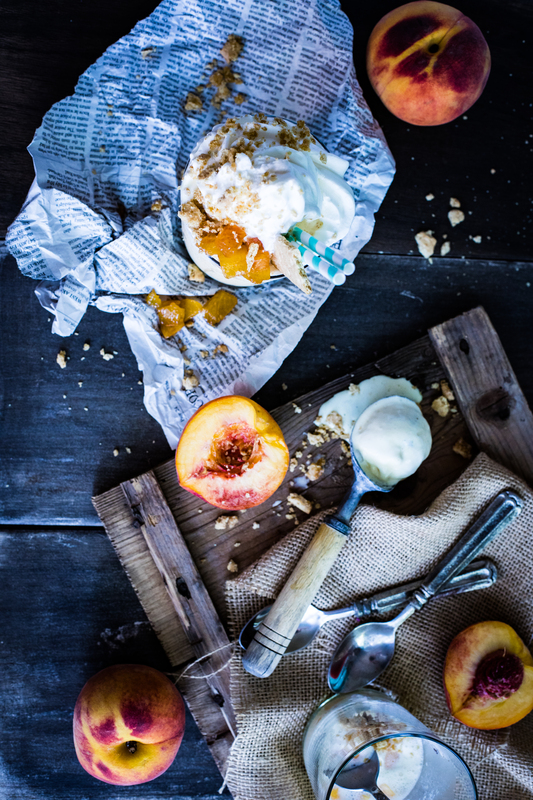 You don’t have to sacrifice your last precious piece of peach pie (unless of course, you want to). 1. Pour the melted butter atop the crumbled graham crackers, stirring until combined. 2. Combine all ingredients in a blender and blend until smooth. Add extra milk as needed if you prefer a thinner, more liquidy shake. 3. 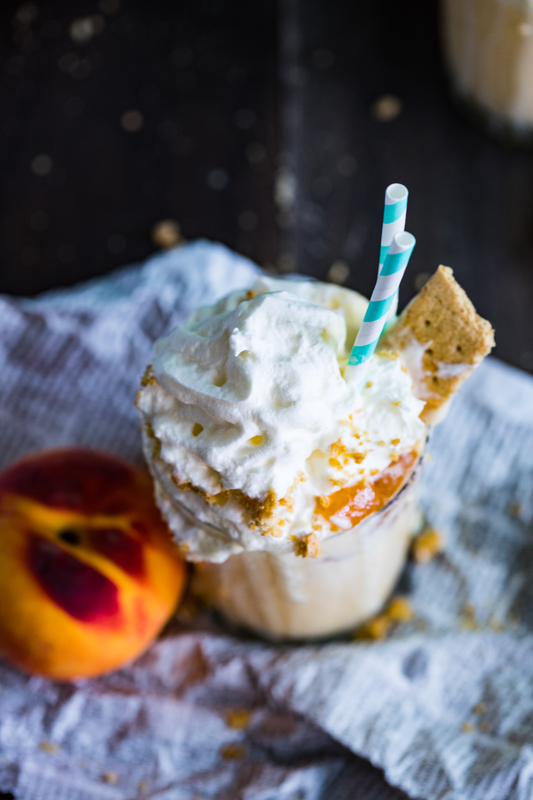 Pour into two glasses, topping with whipped cream, chopped peaches, and crushed up graham crackers. I’m pro milkshakes of any kind. I’m angry… well really just pouting and drooling! 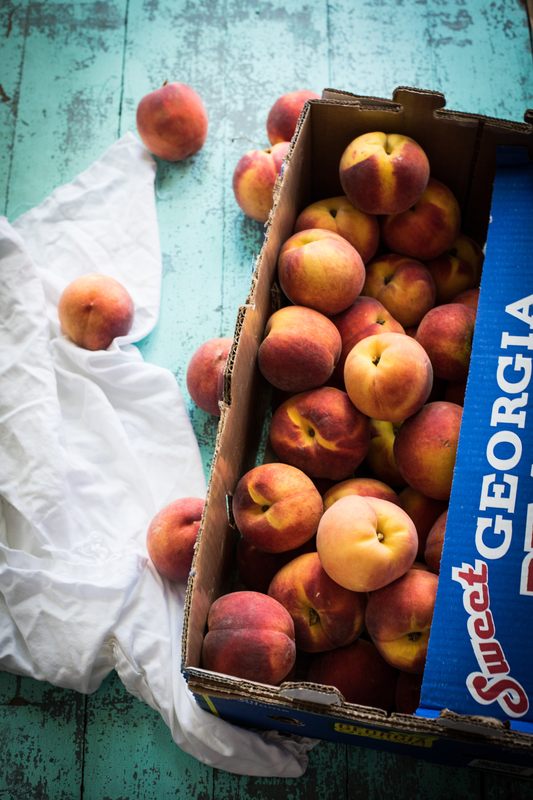 I’m 7 months pregnant and after reading this post I want a bourbon peach pie milkshake, Georgia peaches, peach pie and a well a drink!! But none of these are currently available to me… so I’ll just pout.